I spent the early hours of Sunday morning taking the long trudge out to the tip of Breezy Point, the southwesternmost part of Queens. Strong northwest winds gave me hope of finding a Cave Swallow, a Western Kingbird, a Northern Shrike, or some other interesting bird. I was correct about finding an interesting bird but it was not one of those that I just named. The walk out to the beach on the 4X4 trail was relatively uneventful though the three swallows I saw making their way west were intriguing. The light was against me, the birds were distant and moving fast, and I just couldn’t get an identification on them. Oh well, they were probably late Tree Swallows anyway. Once I reached the beach I was impressed by the number of fishermen working the surf hoping for Striped Bass and even more impressed by the sheer number of gulls and gannets going after the same bait fish that the bass were. You can see what the gull cloud – that I spent some time looking through without finding anything but Great Black-backed, Ring-billed, and Herring Gulls – looked like at the top of this post. 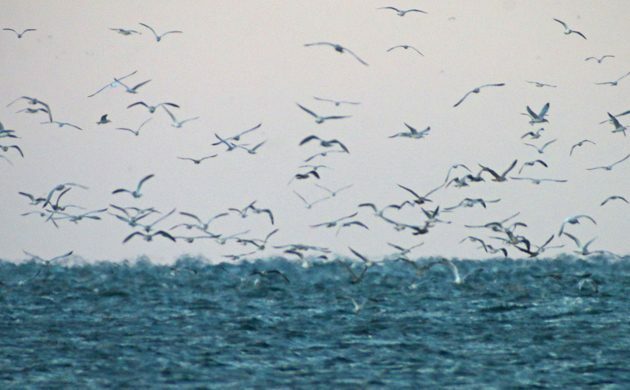 There is only so long I can look through gulls before my mind and eyes start to wander. And what my eyes and optics settled upon was a very pleasing sight, my first Snowy Owl of the year! The rest of the walk out to the jetty at the tip of Breezy Point didn’t net me much but having an owl to look at as I walked was nice. The gannet show off the jetty was pretty spectacular too but all the images I got were effected by heat haze, an odd problem to have when the temperatures are in the low 40s and the wind is whipping over the bay from the northwest. I had an enjoyable time at the point, showing fishermen the owl through my scope, watching gannets, learning about the fishing they were doing, and then watching a flock of Snow Buntings that materialized out of nowhere. The buntings didn’t stick around for long and soon took off over the waves to the west. Then a small flock of Horned Larks dropped in. 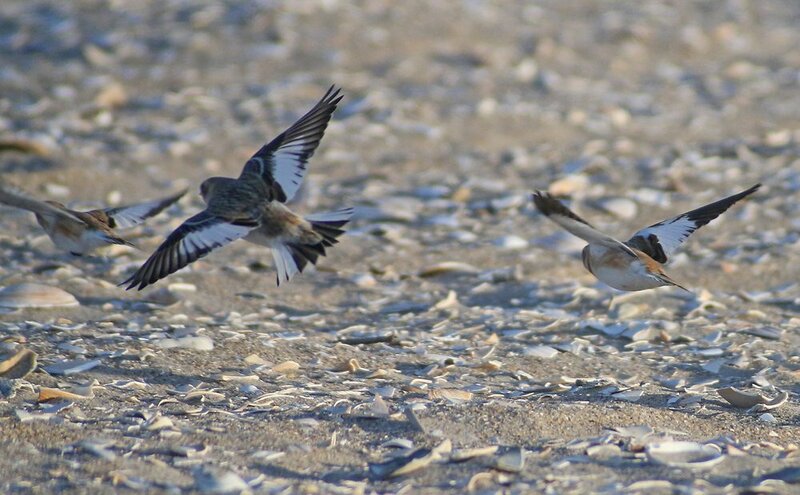 This is a horrible photo but I did enjoy watching the larks scuttle around on the beach. 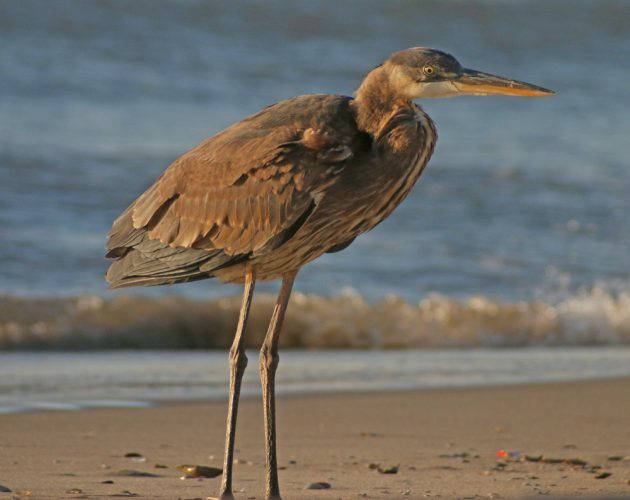 Perhaps most surprising was a Great Blue Heron that I watched fly in from off the ocean, beating into the wind, until it put down as soon as it could do so and not get wet. I don’t know how long or how far it had been flying but it looked very relieved to have reached land. On my walk back to the car I saw a Northern Harrier, a bunch of Yellow-rumped Warblers, and some other common birds. I also saw what I presume was the same heron flying further north, still battling the wind. Here’s hoping it found somewhere more suitable to recuperate. After my first Snowy Owl of the year I decided to try for my first Orange-crowned Warbler of the year by chasing after one that had been reported a couple of times in Kissena Park but I didn’t have any luck. 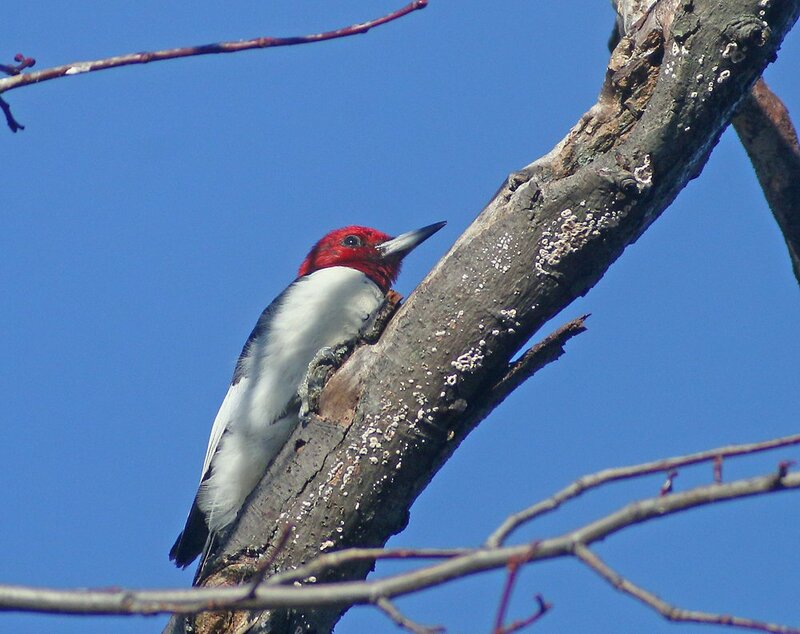 Instead I had to settle for my third visit with the Red-headed Woodpecker that looks to have settled in for the winter. You know, a Red-headed Woodpecker is an acceptable replacement for a missed Orange-crowned Warbler. 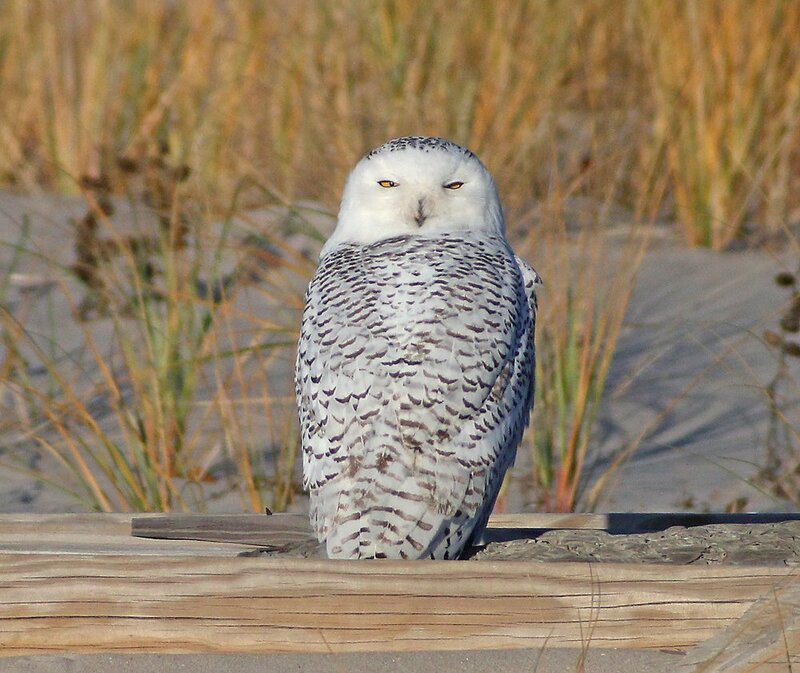 More Snowy Owl pictures please and don’t forget to share. How can I send you a pic of a bird that is very strange looking ?